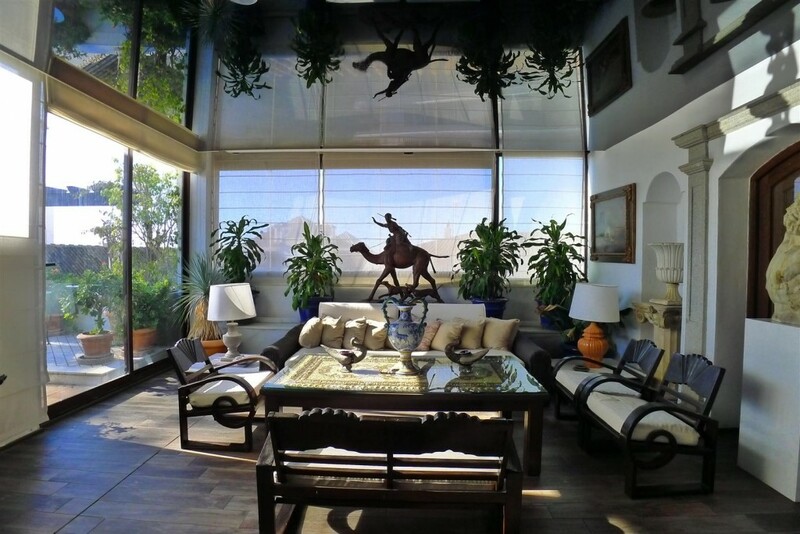 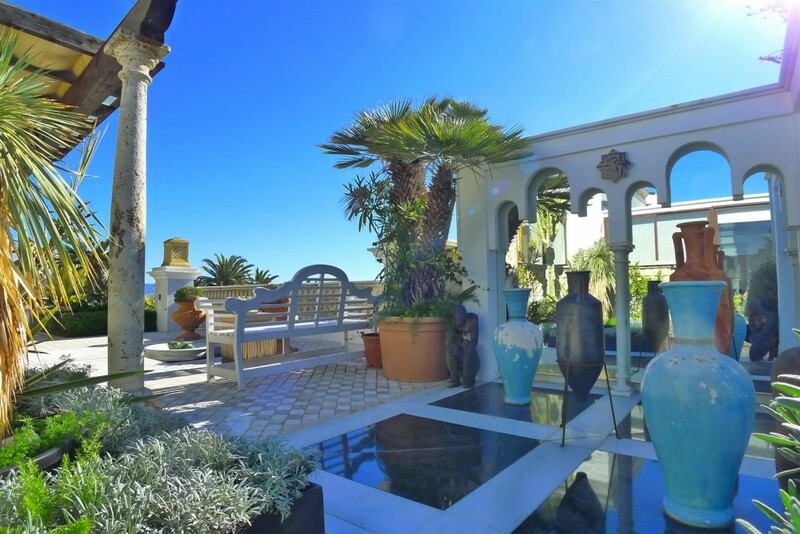 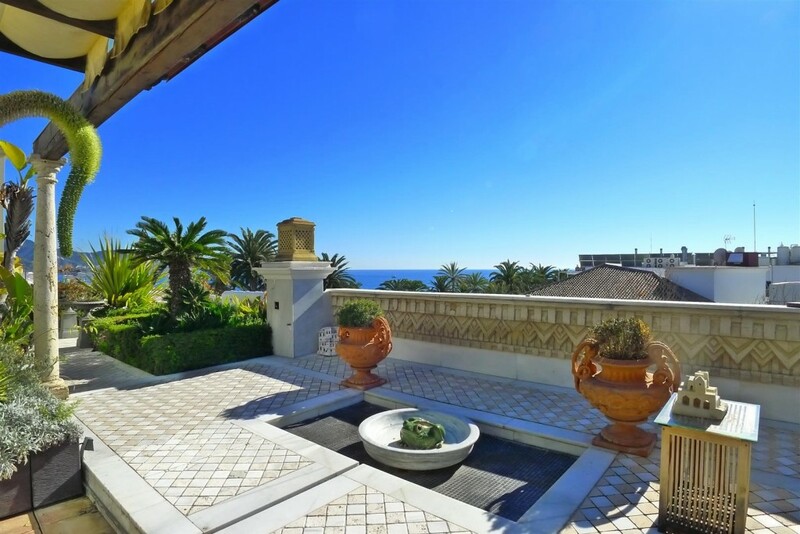 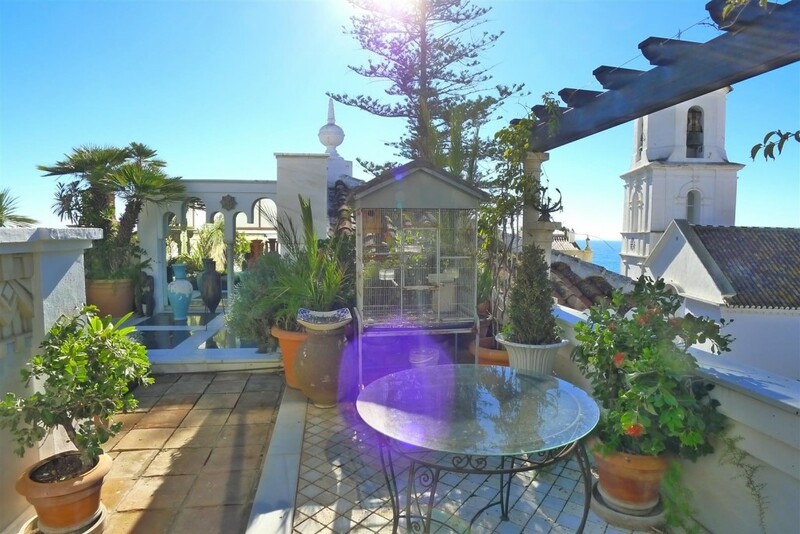 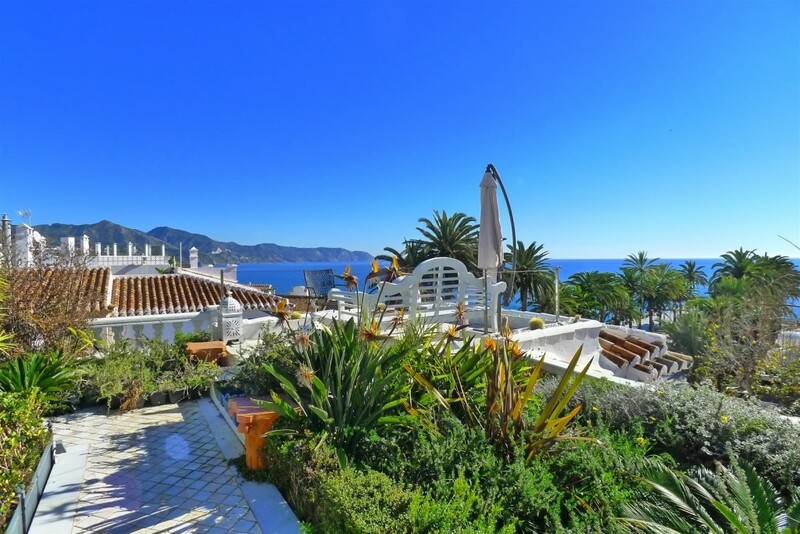 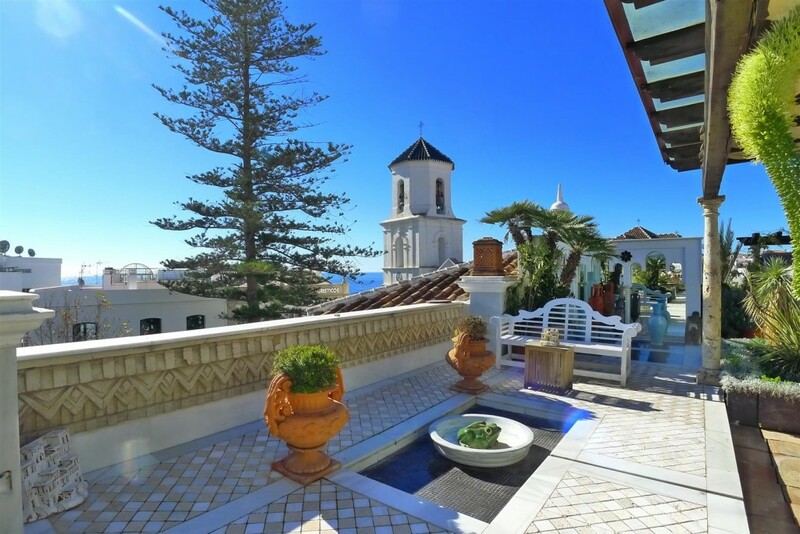 Unique and Exclusive 486m² penthouse in the Balcón de Europa, the most emblematic place in Nerja with incredible terraces, spectacular views and private parking. 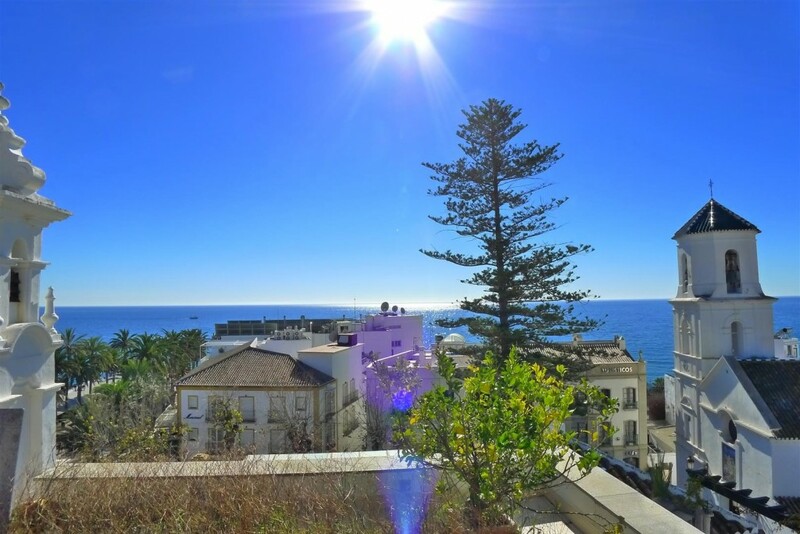 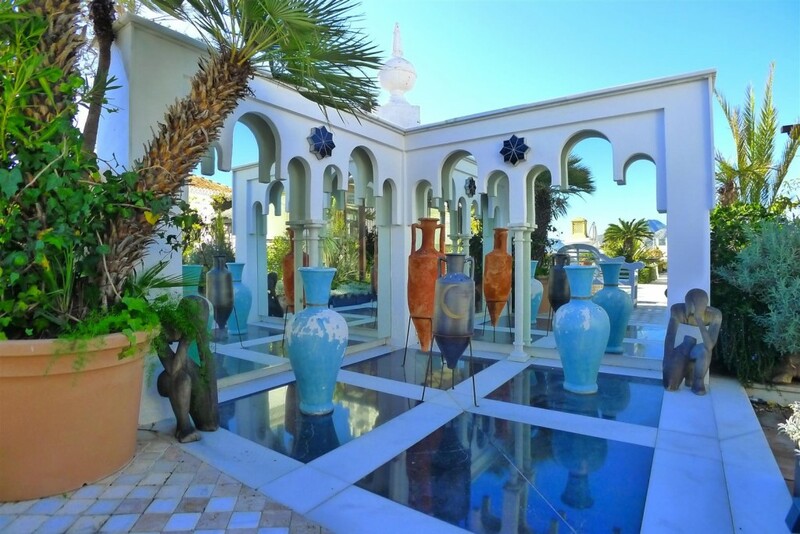 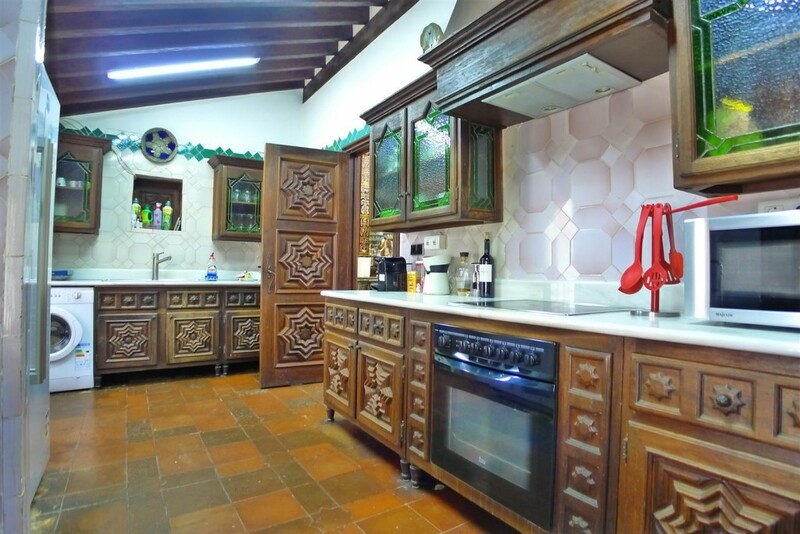 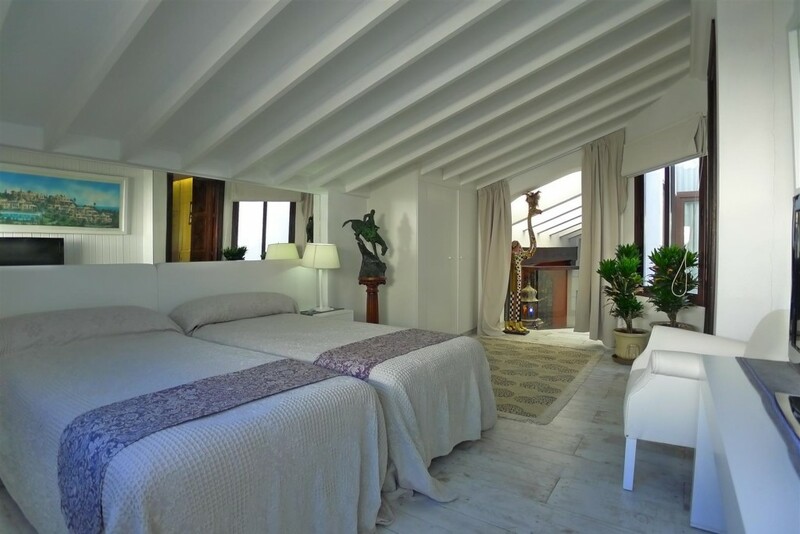 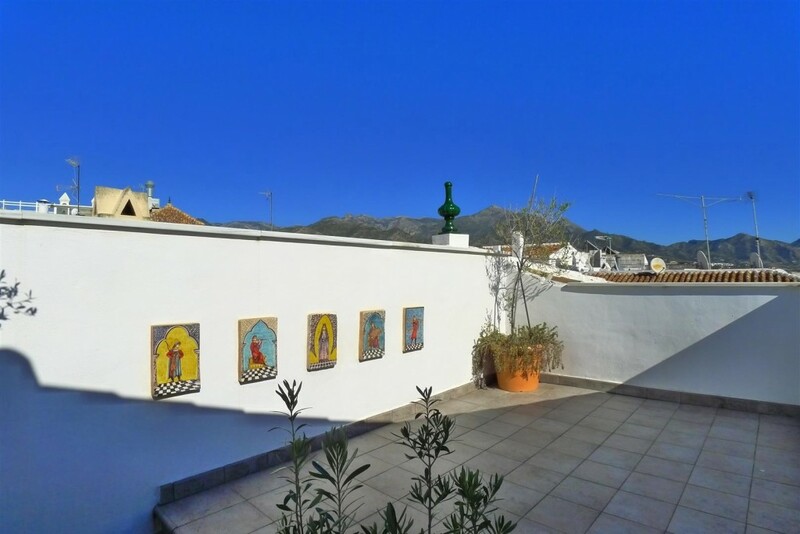 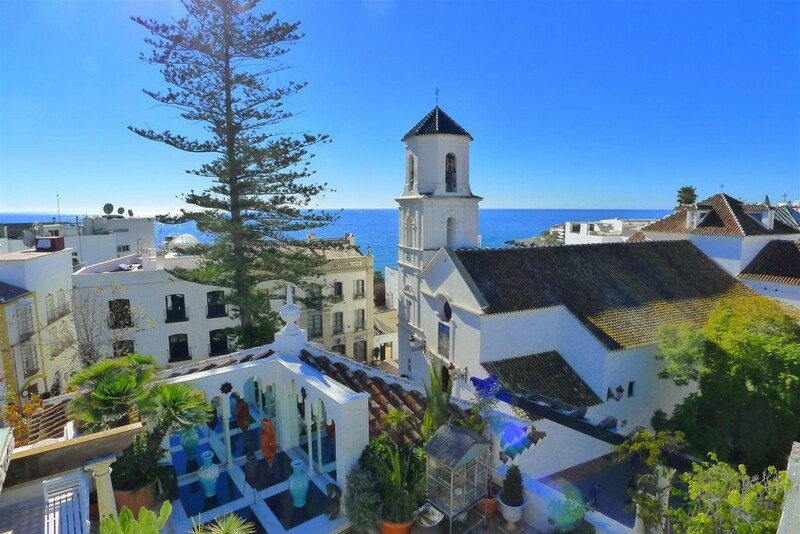 In the most beautiful and best quoted place of Nerja is this dream property, exclusive, unique and unique for its large size, location and beauty. 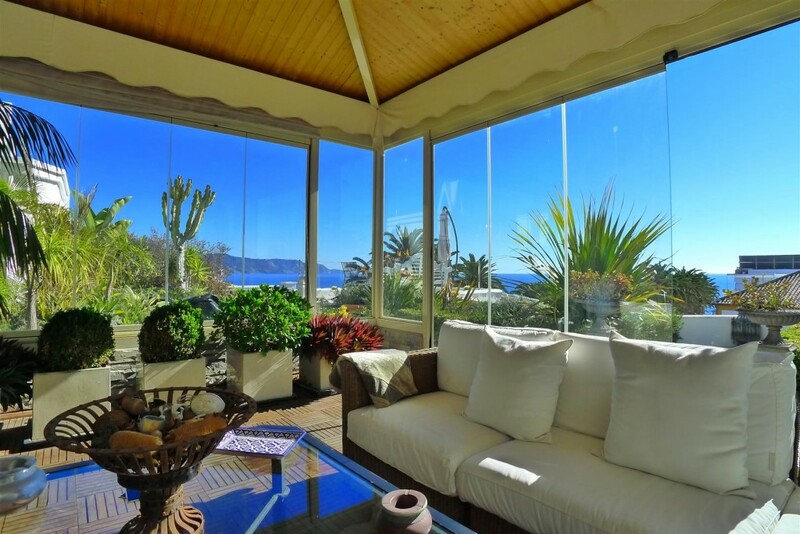 With the most privileged location is located in Edf. 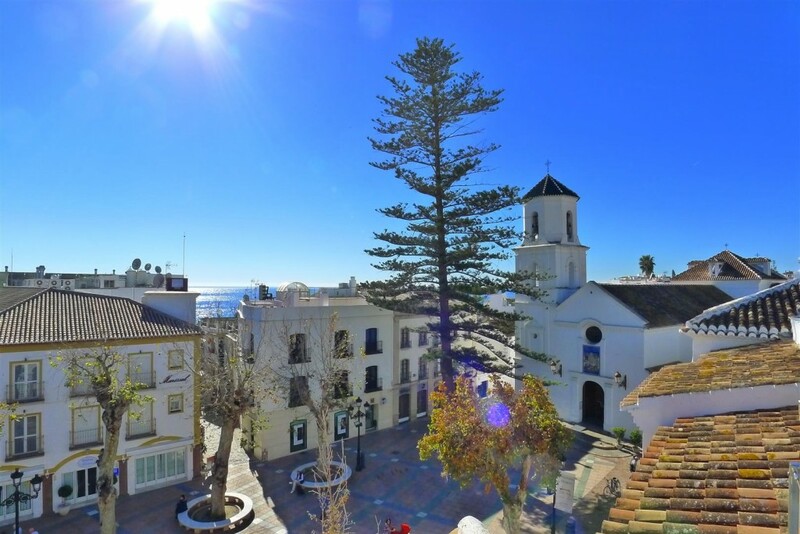 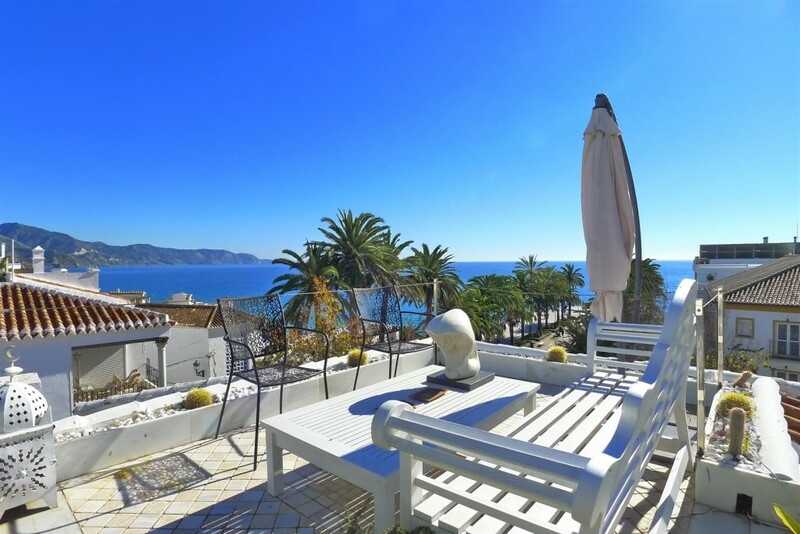 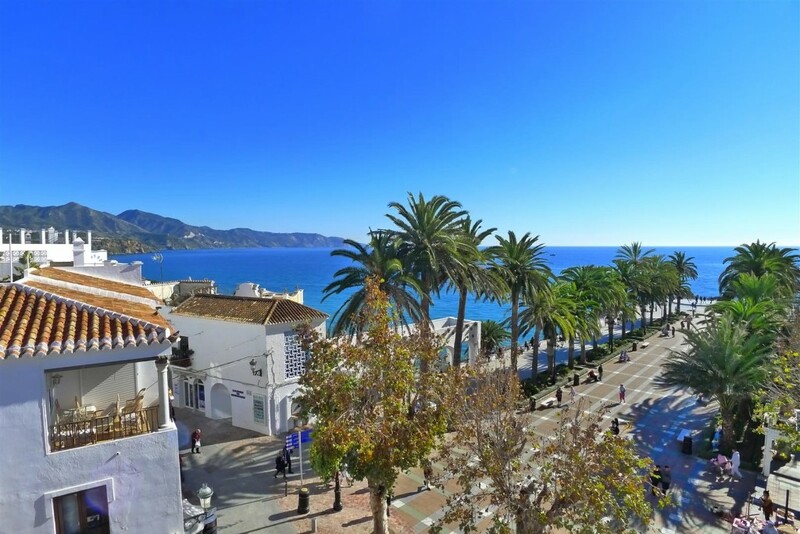 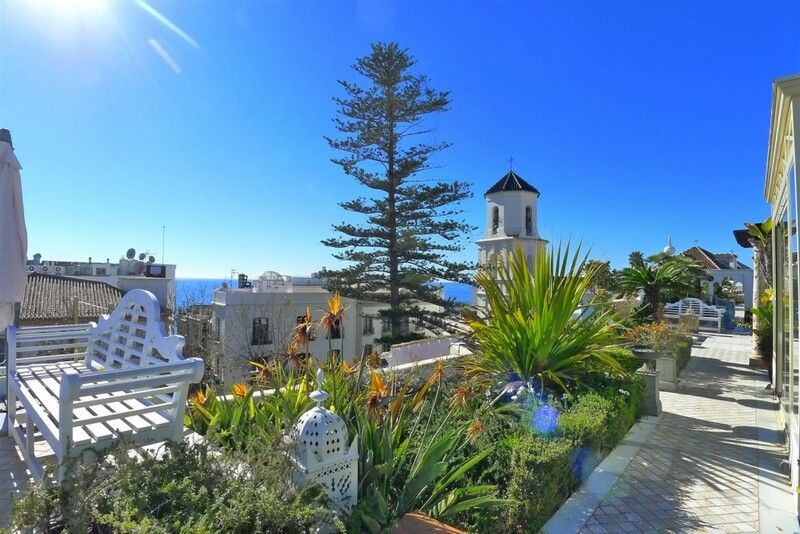 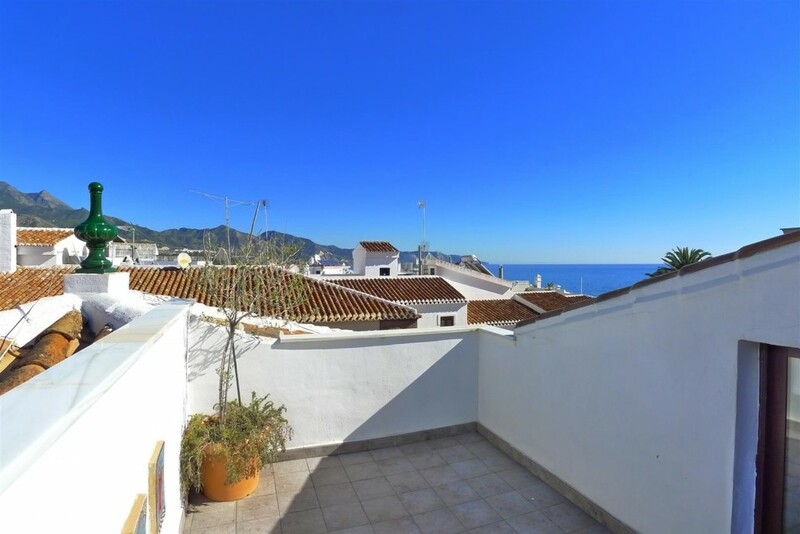 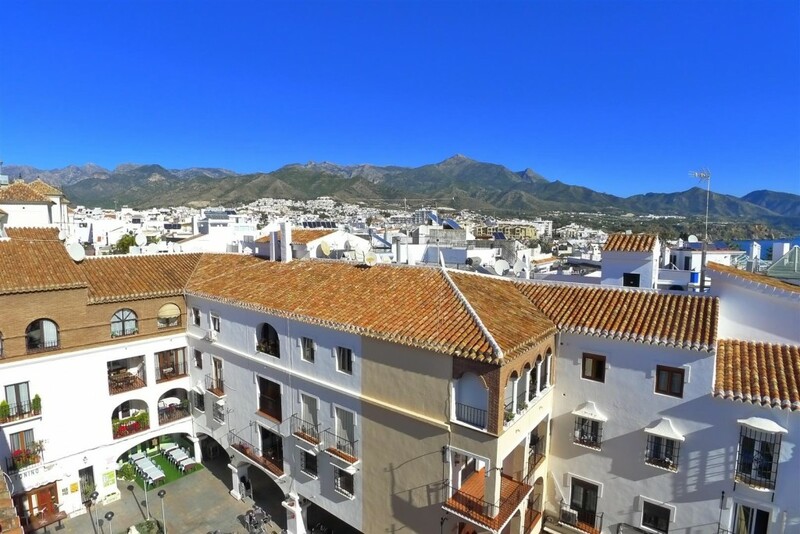 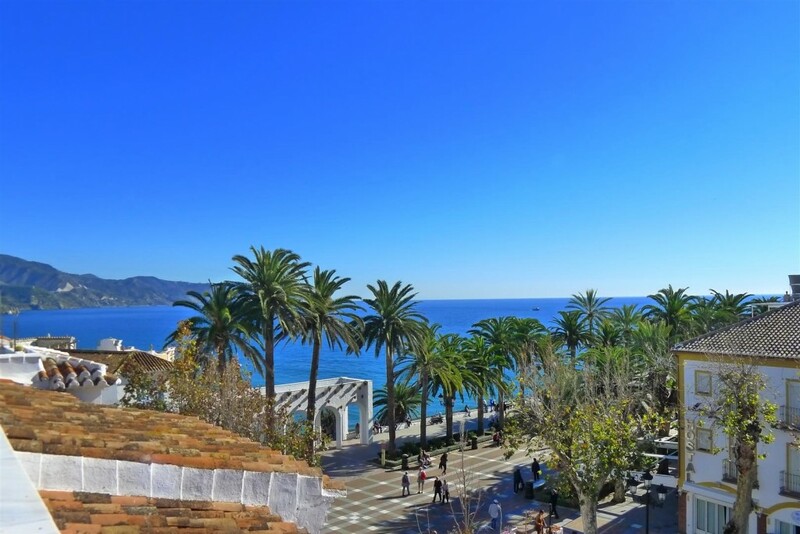 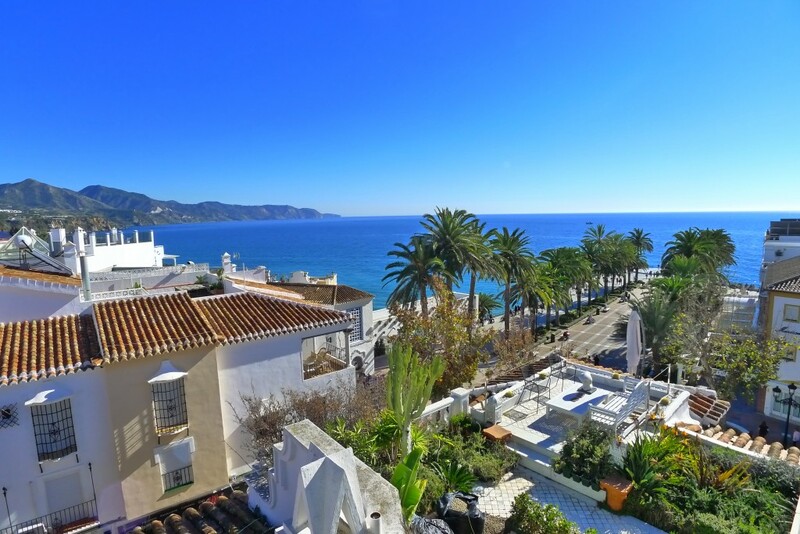 Balcón de Europa, in the same Balcón de Europa, in the most central place of Nerja, with the best panoramic views of the town and surroundings. 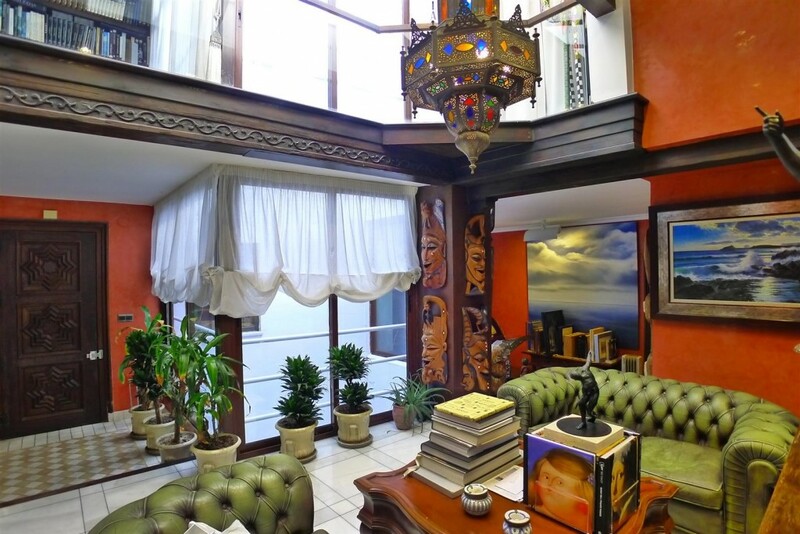 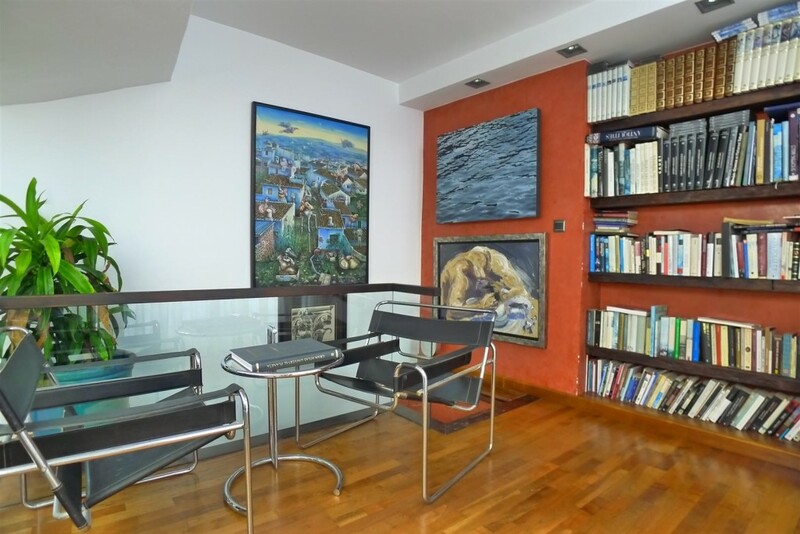 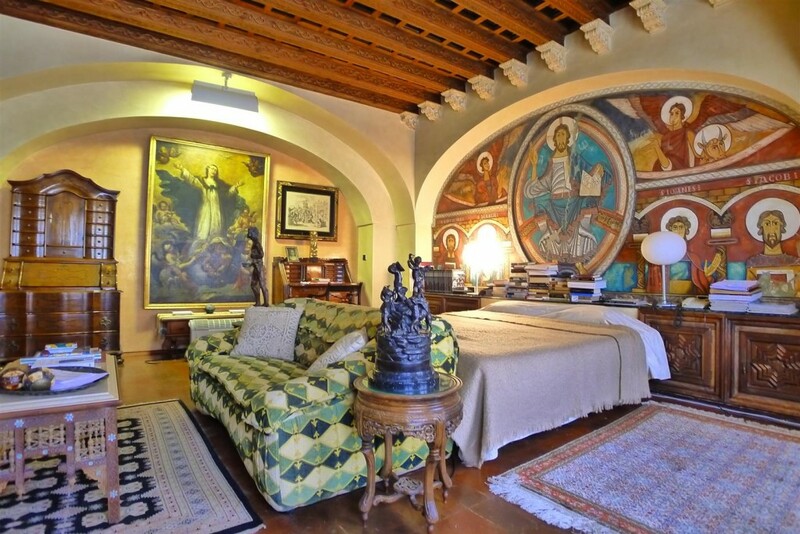 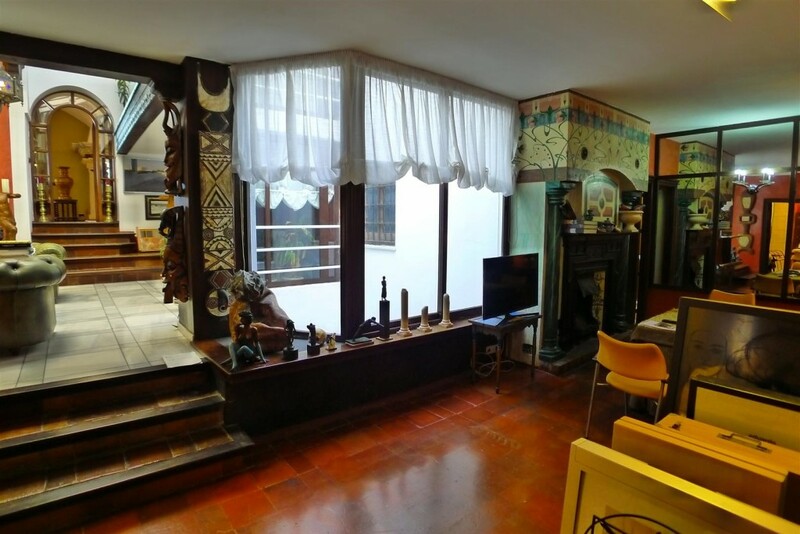 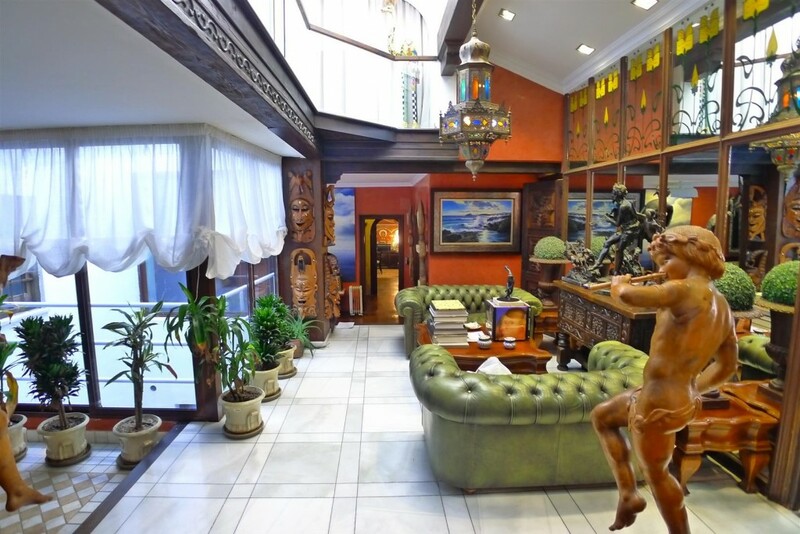 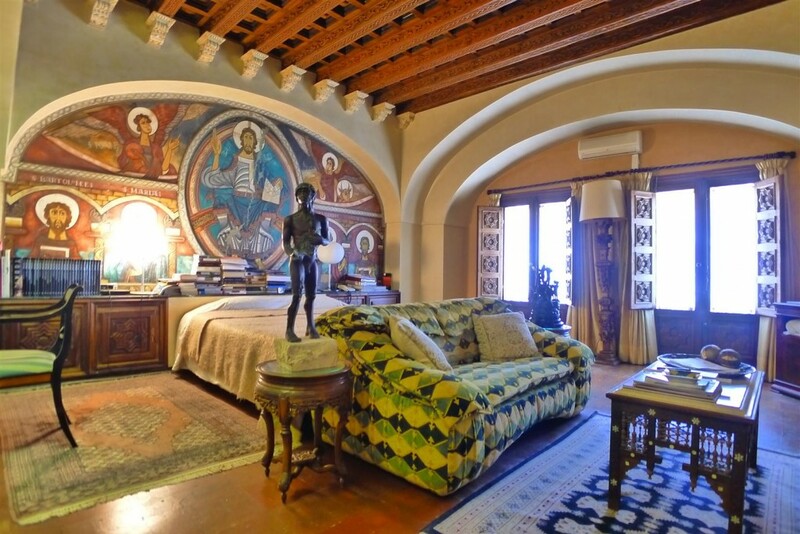 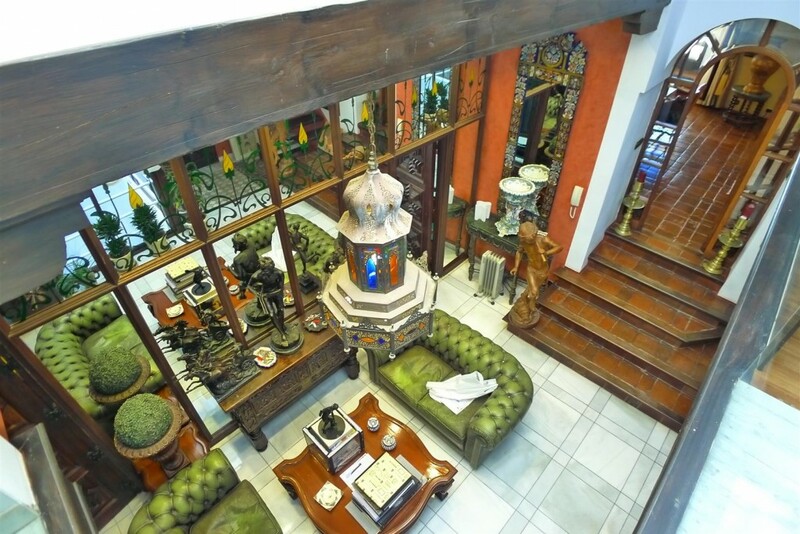 This duplex penthouse with 486m² built and 316m² of terraces is a property with unique characteristics and location. 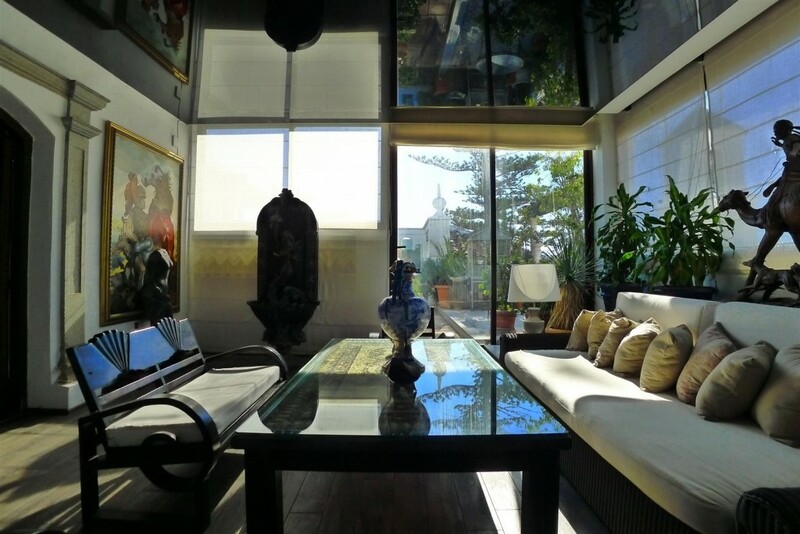 The house occupies the entire facade of the 3rd floor of the building facing south and sun throughout the day. 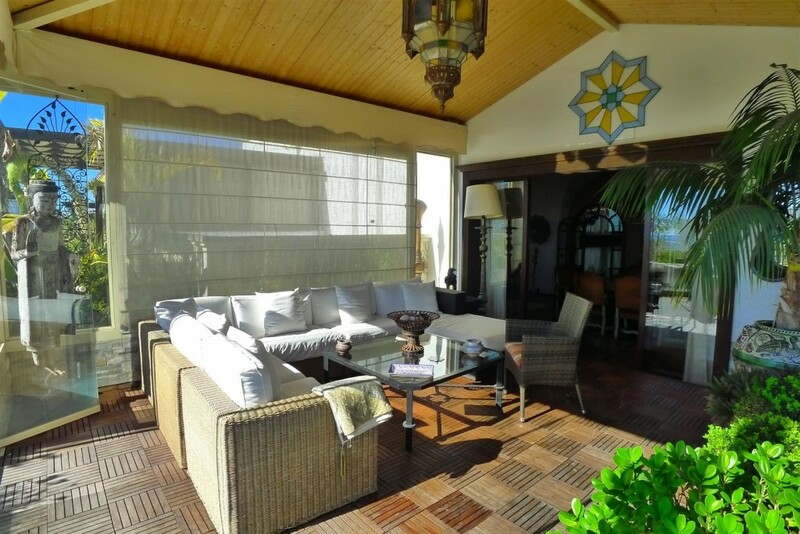 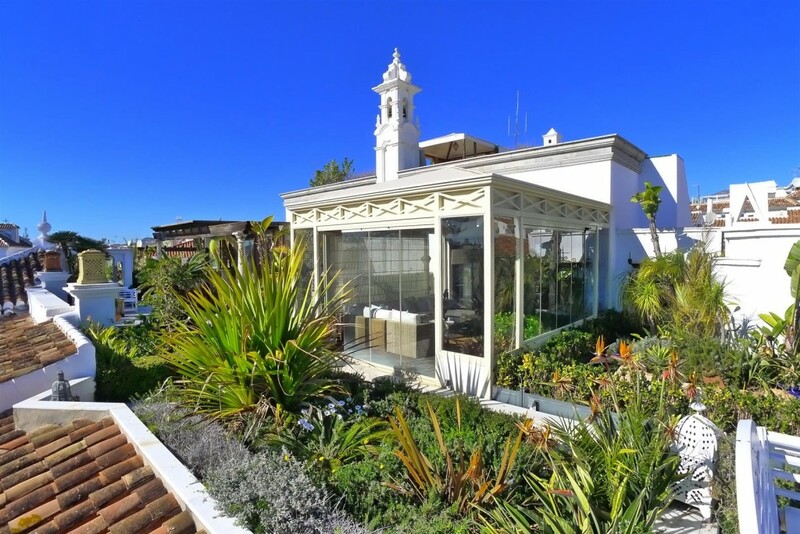 With more than 300 meters of beautiful terraces, facing south, has beautiful garden areas. 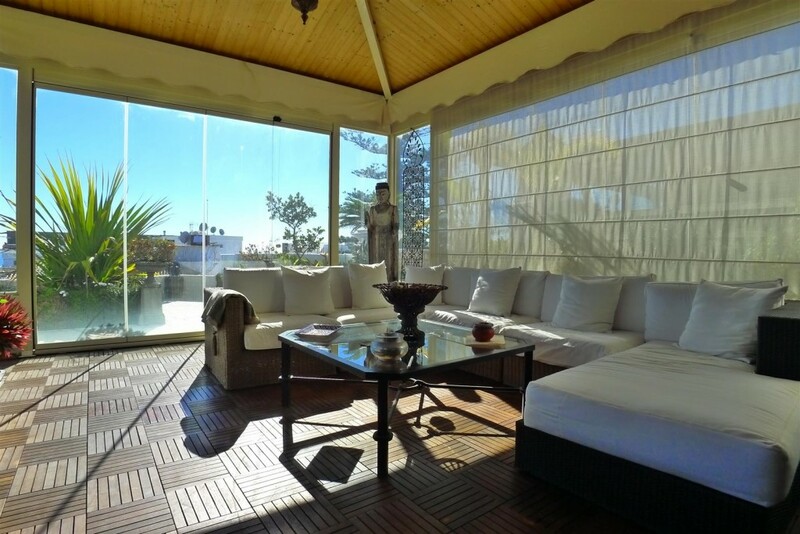 It also has an incredible viewpoint on the first floor where you can relax and enjoy the views and the wonderful sunsets. 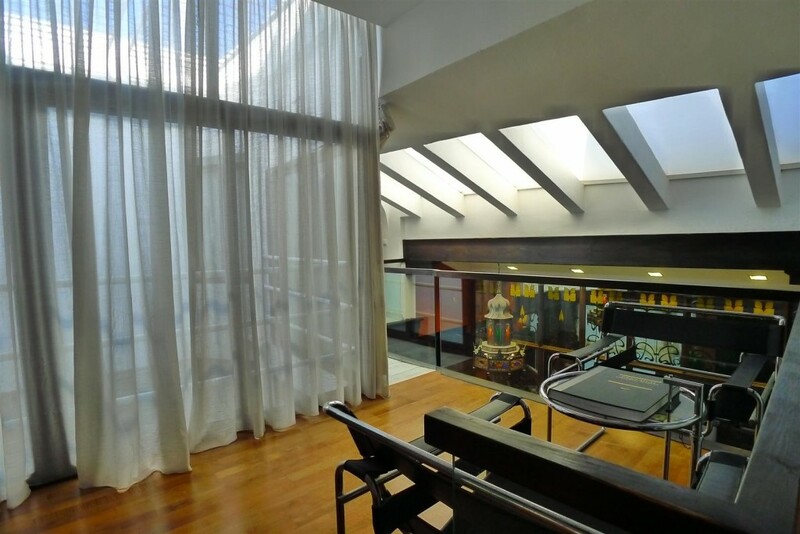 The house has a hall or hall that distributes access to all units. 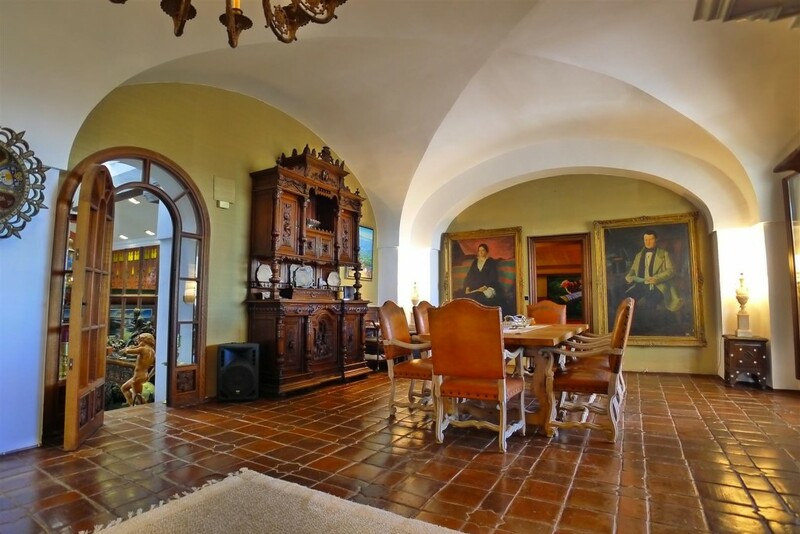 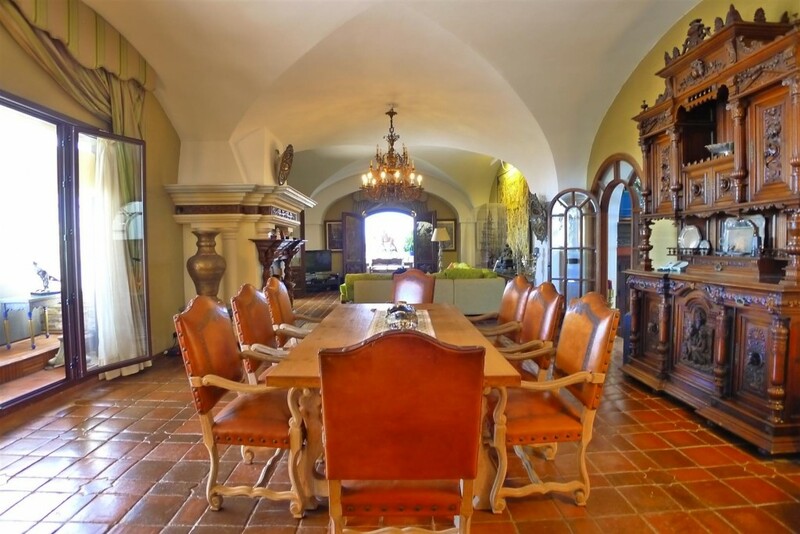 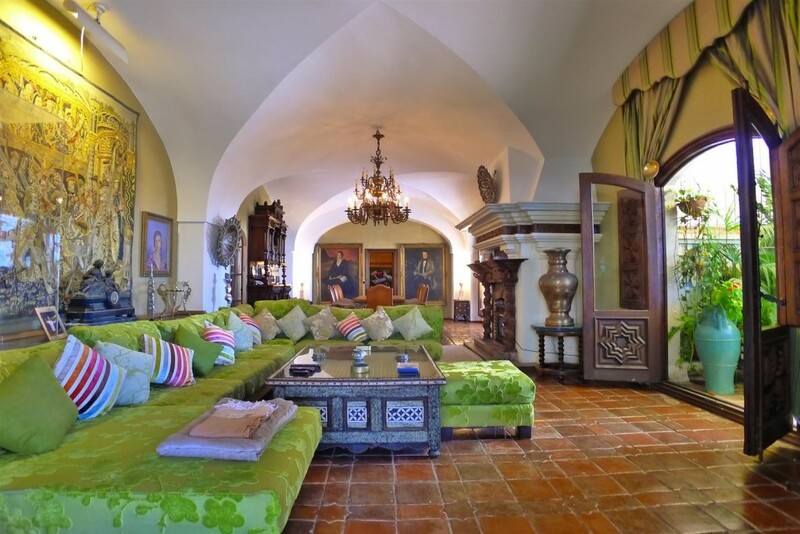 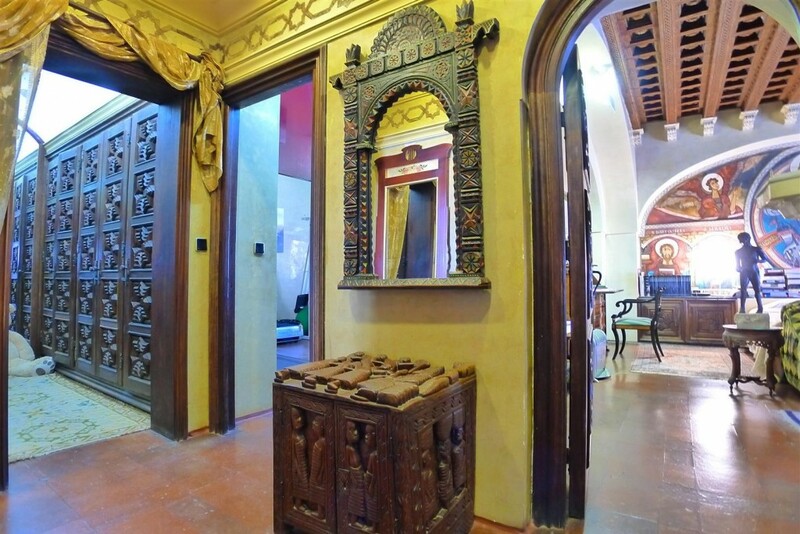 The hall gives access to the right, the living room with large dimensions, with a large fireplace, has a small room for bar or catering room, plus a storage room. 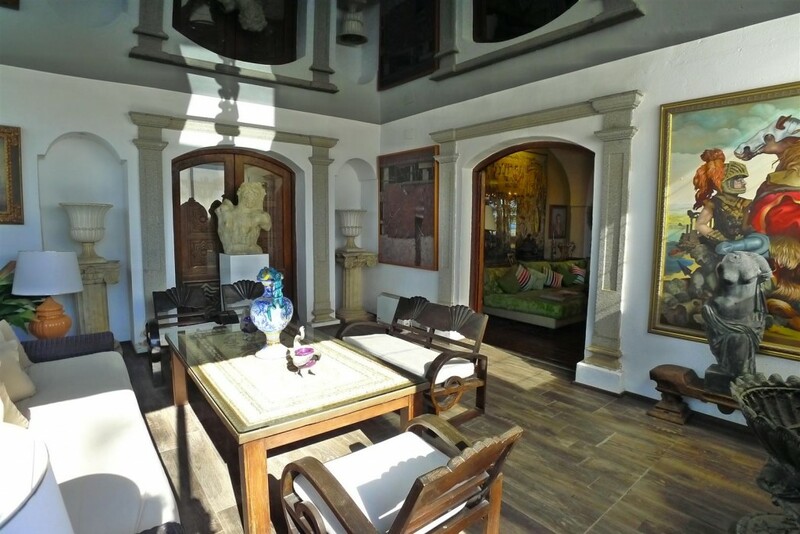 From the main living room you have access to two bright and sunny glassed rooms that give access to the impressive and unique terrace with panoramic views of the famous Balcón de Europa and the Church. 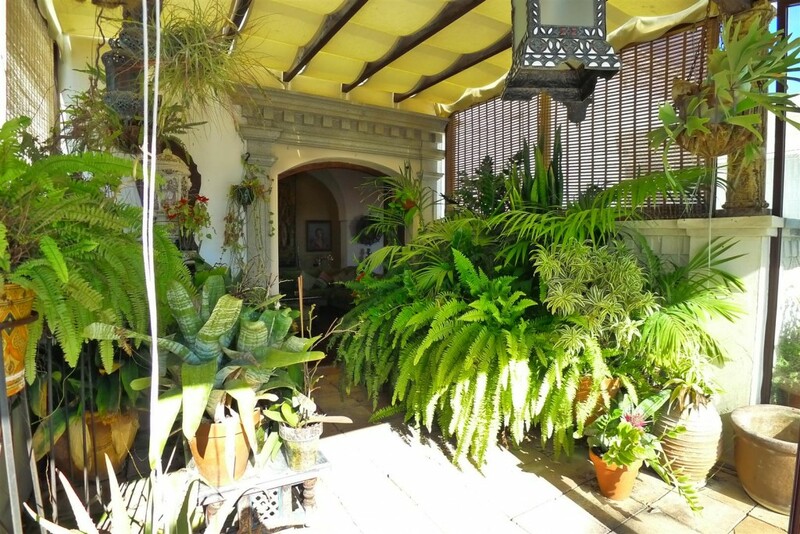 In the center and main exit to the terrace, there is an ideal glazed space for plants. 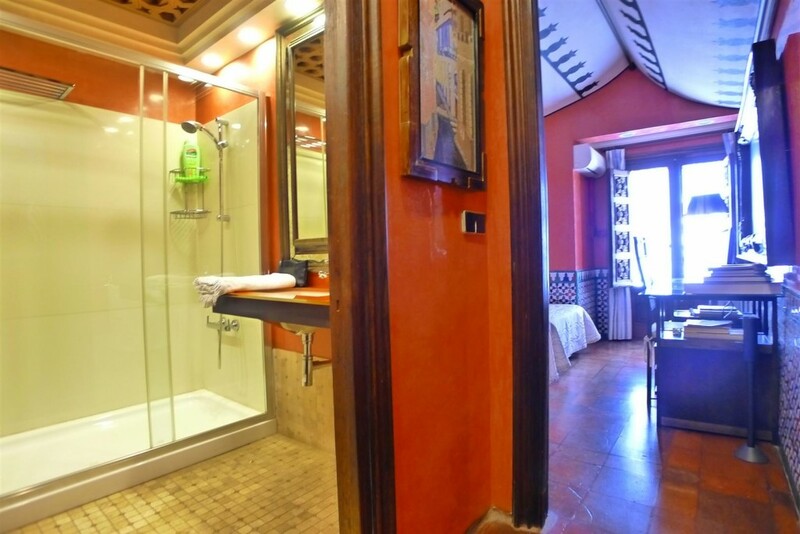 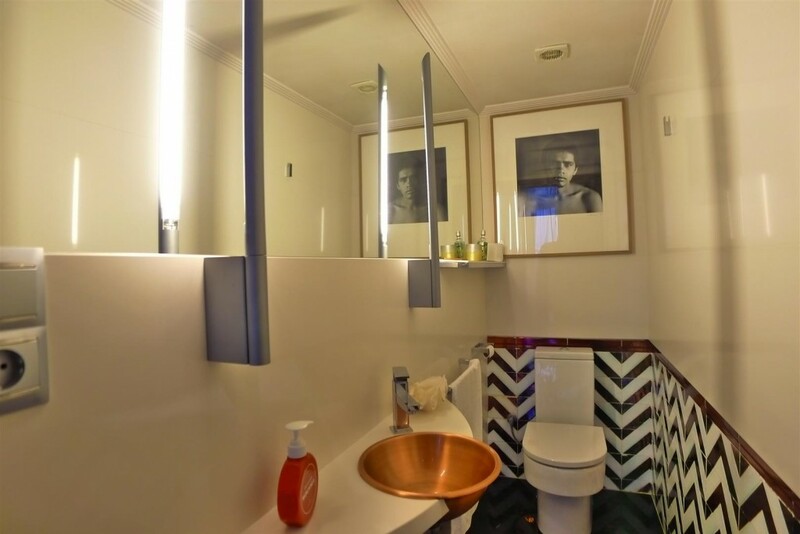 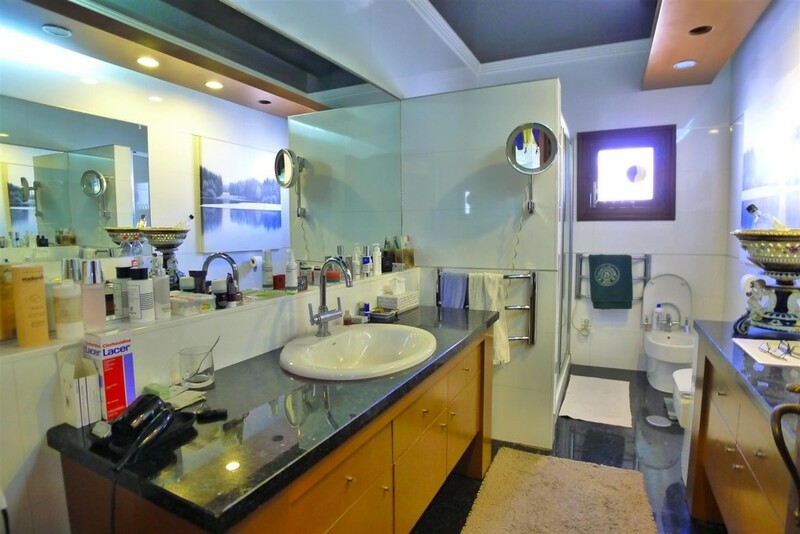 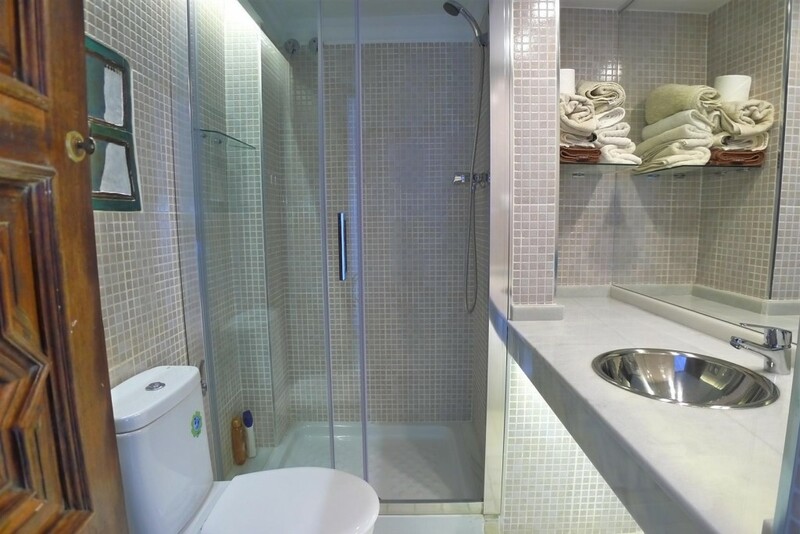 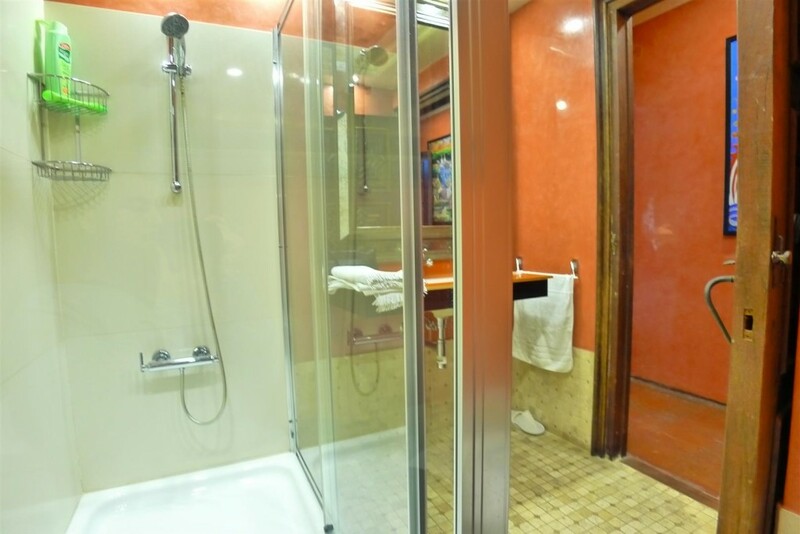 In the hallway you have access to the fully equipped kitchen and on your left is the guest toilet. 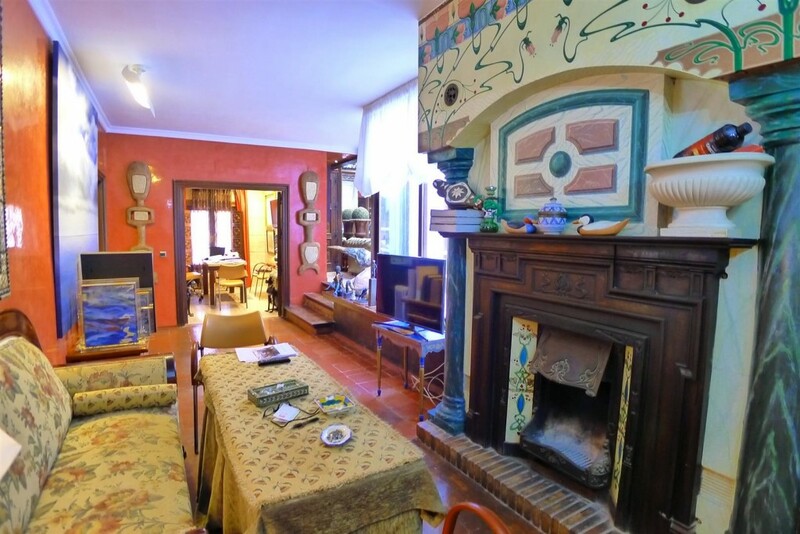 In that same direction, we find a beautiful living room with fireplace, from this you access the cellar and ironing area. 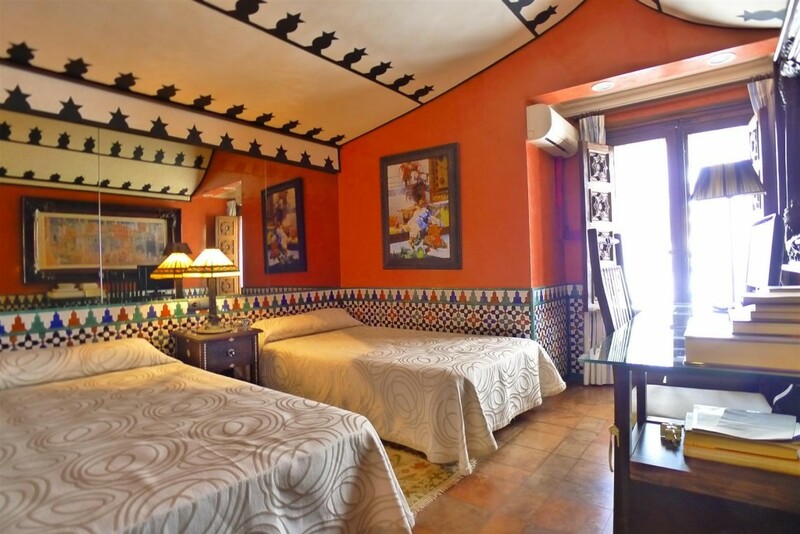 The room also gives way to a unique and beautiful guest bedroom with bathroom en suite. 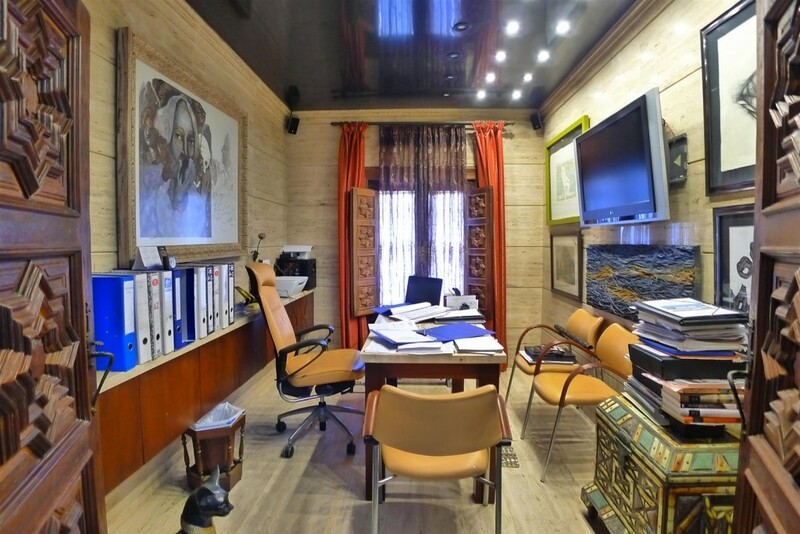 On the right is the elegant office. 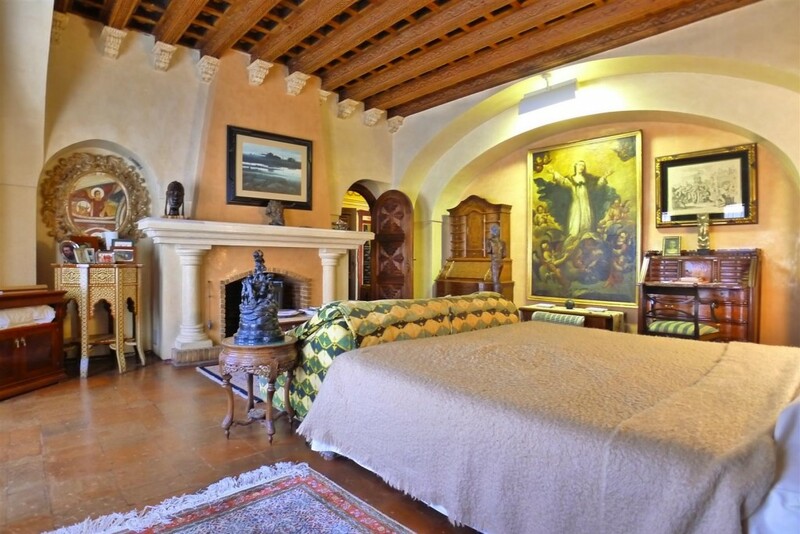 Next is the huge master bedroom decorated with wonderful paintings and coffered ceilings of great value and 1 full bathroom at the entrance. 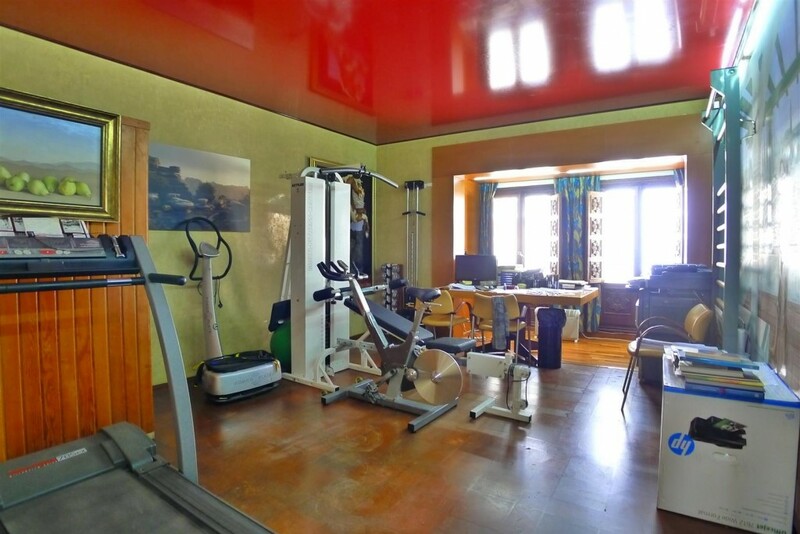 Another spacious bedroom is occupied as a gym, also contains a sauna. 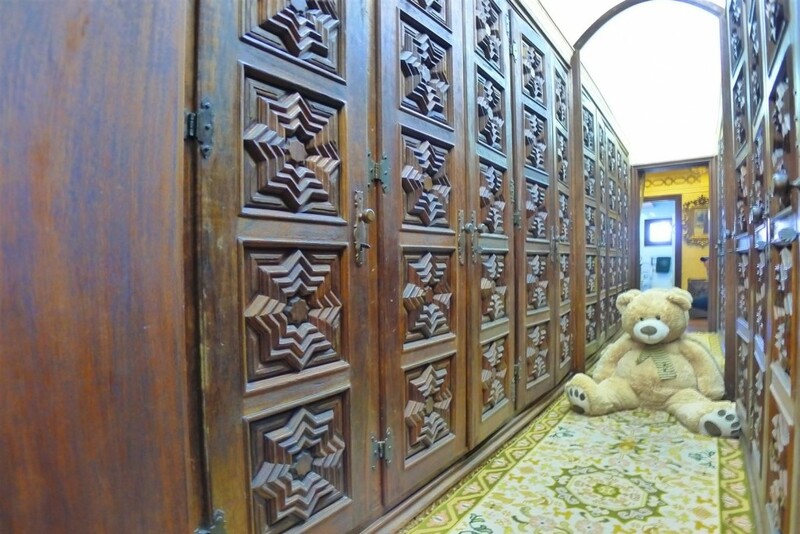 This part of the house also has a magnificent dressing room. 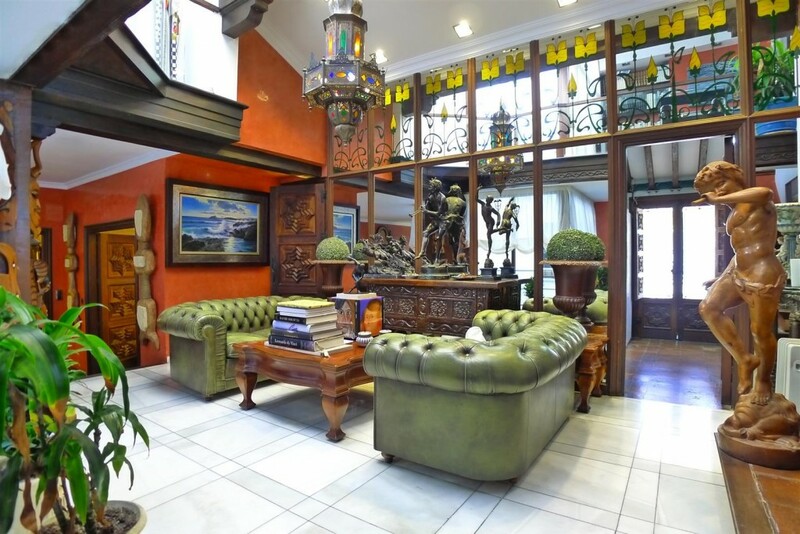 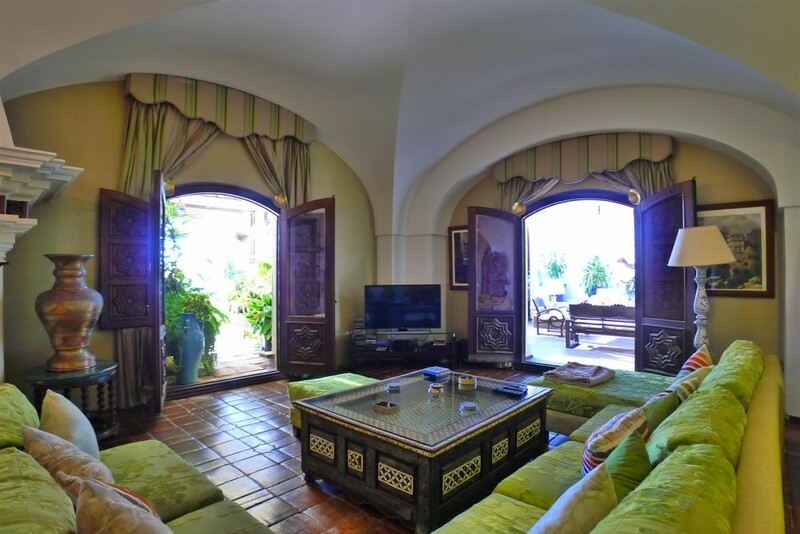 From the vestibule you can access the upper floor which consists of a library and a great double bedroom, themed and with its own name, it has an en suite bathroom and a private terrace!. 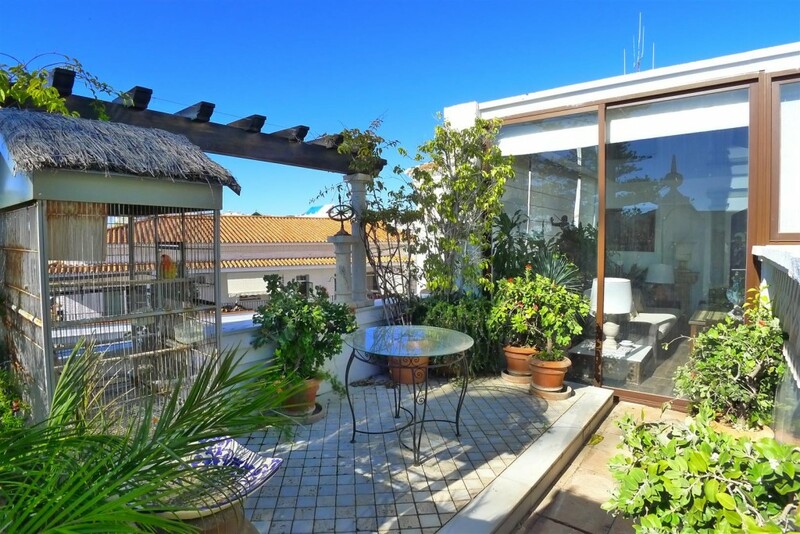 Returning to the main living room and through the catering room, you access a terrace with an orchard on the top floor. 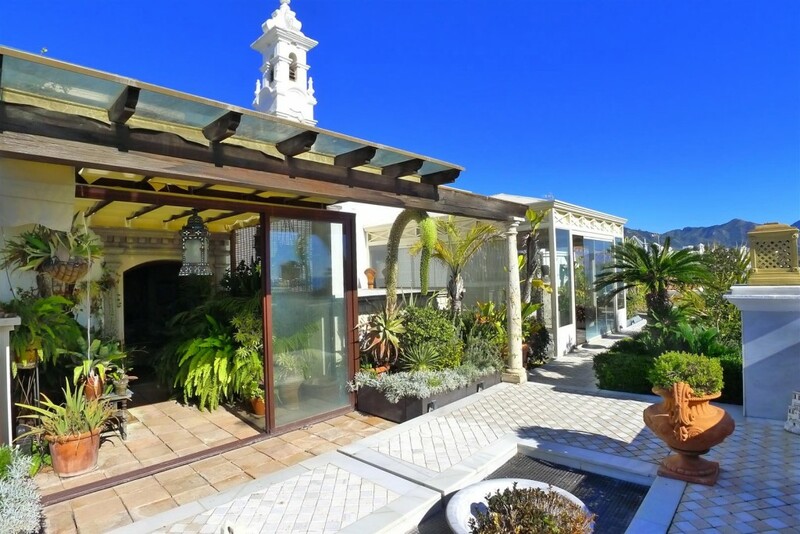 This space, from which the whole property is dominated, also has a gazette or pergola that crowns the property. 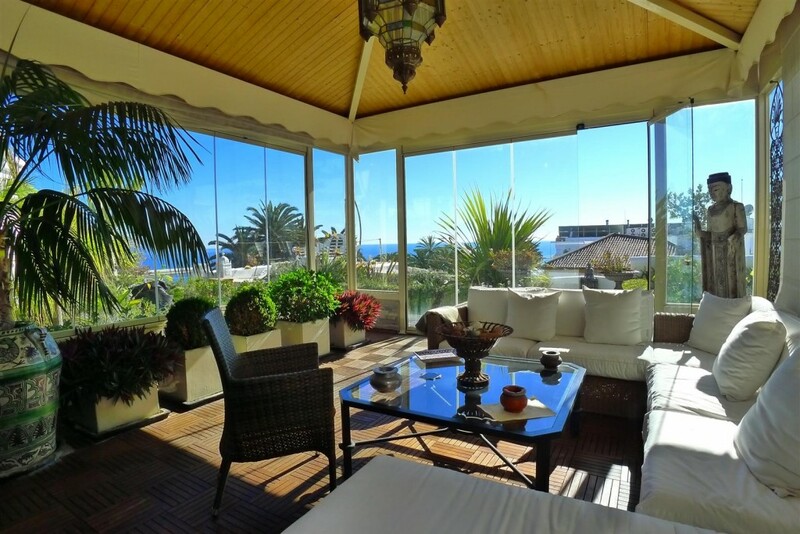 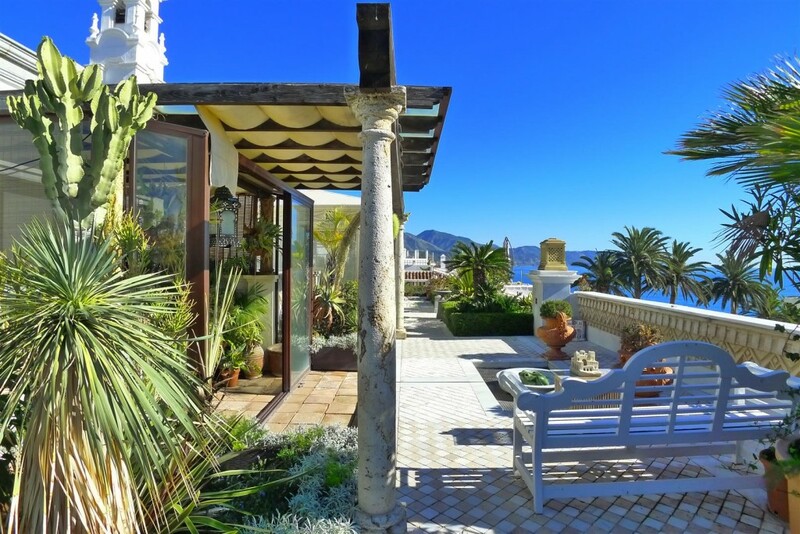 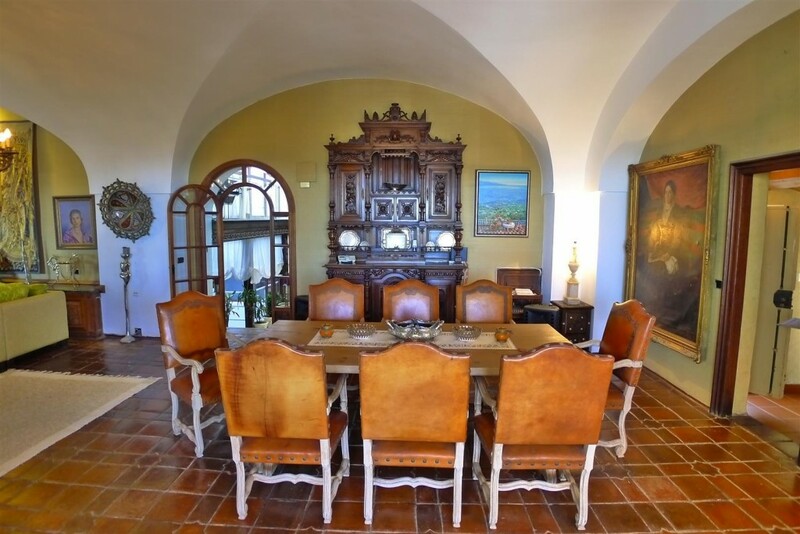 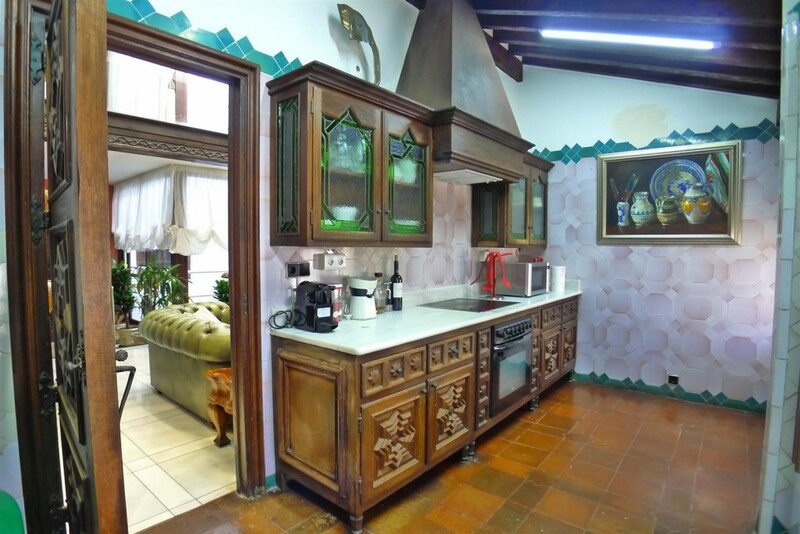 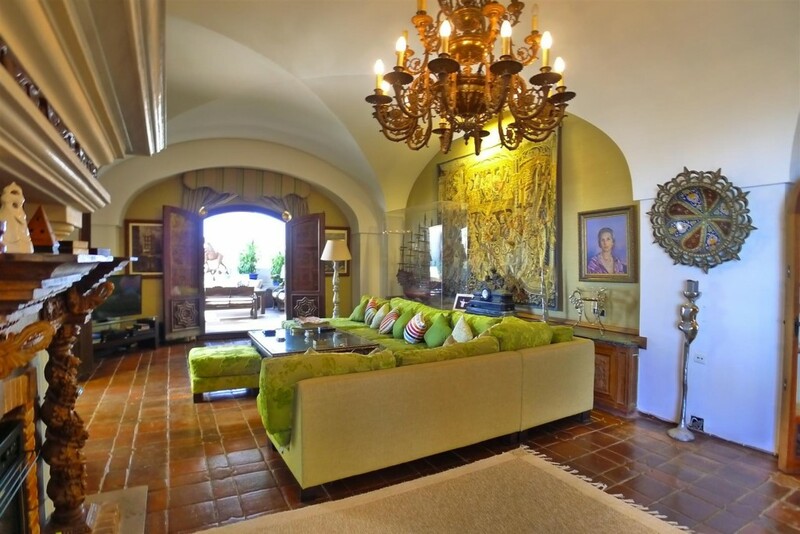 Without a doubt, this property is everyone´s dream. 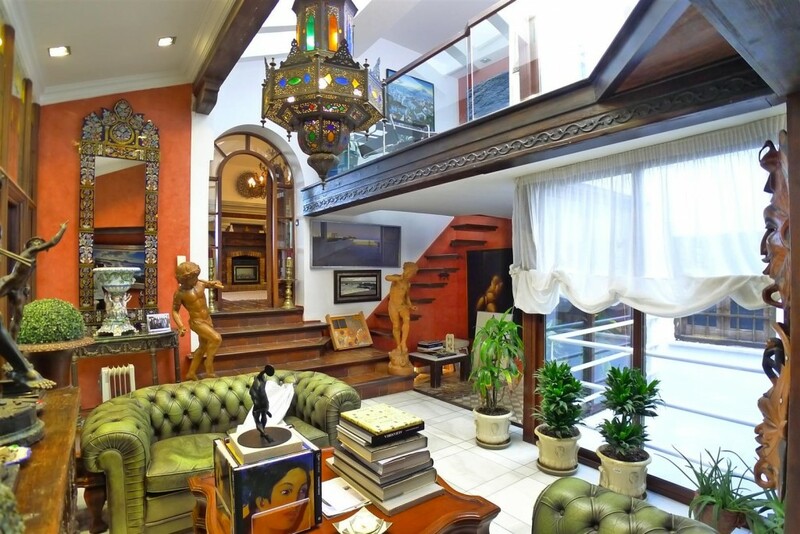 Unique opportunity to live and enjoy in an exclusive place!